We have a supply of basic roamers which are the ones recommended by the GB TREC squad and are the best on the market. Please fill in and send the form if you would like to order one. 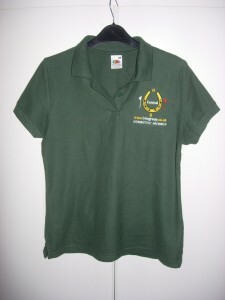 CTG has launched a range of club merchandise. A sample range of sizes are held in the club trailer so if you’d like to place an order then at the next club event that you attend at which the trailer is present, please ask to try on the samples. Orders can then be placed at the event and your items will be made and posted out to you shortly after.